Can you believe summer is wrapping up already? Don’t get me wrong – I LOVE the fall (Browns, boots, sweaters…) but this summer has been one of the best for so any different reasons. But don’t fret, there’s still plenty to get involved with in our awesome city. Looking for something to do next weekend? How about hanging out with Grandmaster Flash (yes, one of the founding fathers of hip-hop) and the Progressive Arts Alliance? PAA is a nonprofit organization who inspires students to reach their potential (and how can you not support that type of mission?) I love that PAA works with 1,000 students each week (throughout the school year) reaching out via schools, community organizations and libriaries. As someone that was involved in the arts throughout elementary, middle and high school – I can attest to the fact that arts helps to round out a student. It made me a better student, helped me develop friendships and confidence (note: I went to a private school my entire life. Some say that makes you live in a bubble – it doesn’t. But I was lucky enough that I had friends from all aspects of life and that cliques weren’t nearly as bad in my school and most). I’m such a fan of the PAA organization that I’m hoping you’ll get involved and help them out. 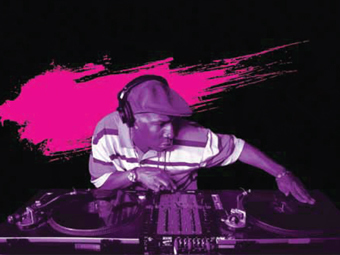 PAA is hosting DJ Grandmaster Flash (a Rock and Roll Fall of Fame inductee) on August 11th at 7:30 as part of their 10 year anniversary benefit. 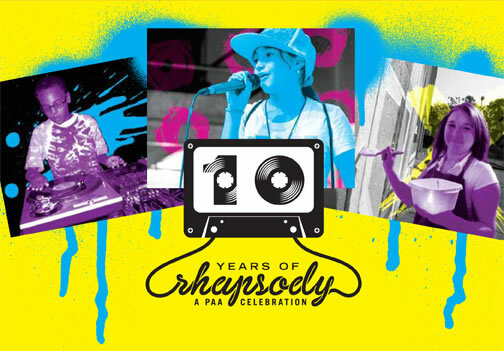 At one of my favorite downtown locations, House of Blues, the event “Ten Years of Rhapsody: A PAA Celebration” will also feature a Cleveland favorite – Cleveland Councilman Matt Zone. Back in one of the best decades ever, the 80s, Zone was a part of the Cleveland break dancing group – Project 5. During the evening, you’ll be able to learn more about Councilman Zone and Power 5. And – you’ll have the chance to see the special reunion performance! General Admission tickets are $25 with VIP tickets available for $50. To learn more, or purchase tickets to support this great organization, visit PAA. This entry was posted in Uncategorized and tagged Entertainment, Giving Back, Heart, Inspire, Memories, The CLE. Bookmark the permalink.